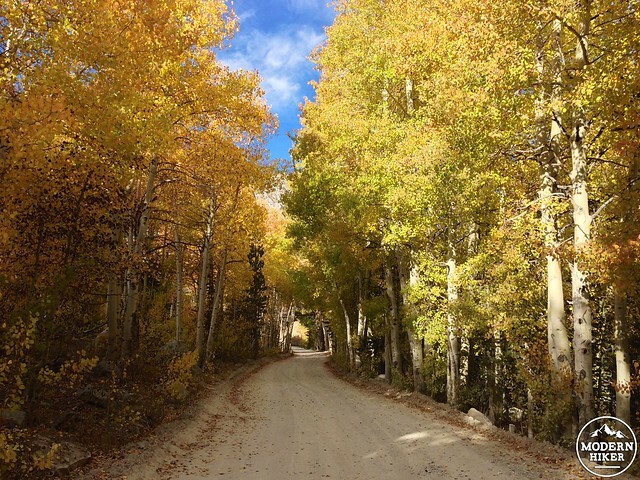 If you’re on a quest for fall foliage, you’re probably going to end up in Bishop Creek Canyon. 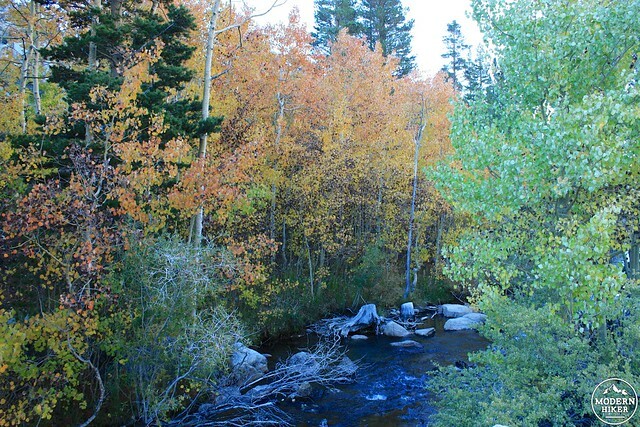 Located in the Sierra Nevada just west of the town of Bishop, this charming, quiet region has extensive aspen groves that are reliably colorful in the early fall – and in fact are usually some of the first places to hit peak color on California Fall Color – a must-bookmark site for anyone trying to leaf peep in the Golden State. This is a fantastic location for photographers and hikers alike – there are plenty of incredible trails nearby, including Sabrina Basin and the Bishop Pass Trail, as well as several developed campgrounds and dispersed wilderness camping (permit required) in the nearby John Muir Wilderness. 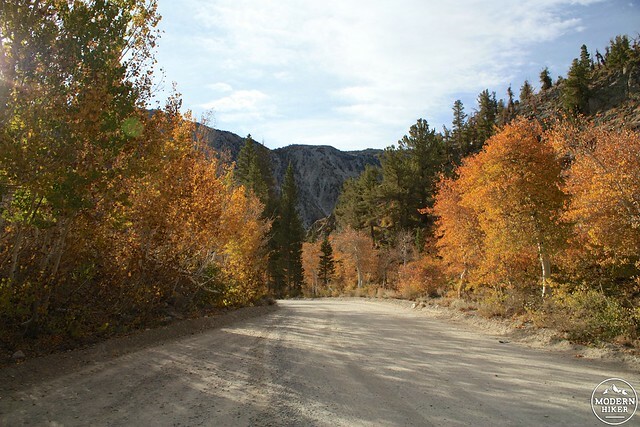 For casual foliage trackers, though, a hike isn’t necessarily required – a simple drive along the dirt, mountain North Lake Road will transport you to a completely different mindset and convince you, once and for all, that California does indeed have seasons. 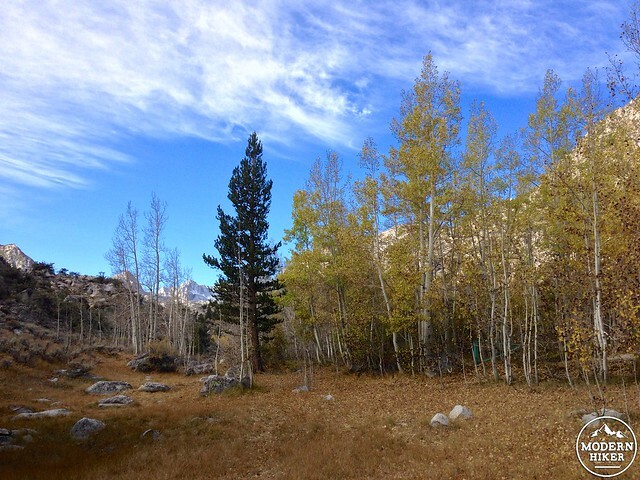 To reach this area, just drive along CA-168 west of Bishop into the mountains and take a right onto North Lake Road just before the Sabrina Campground. 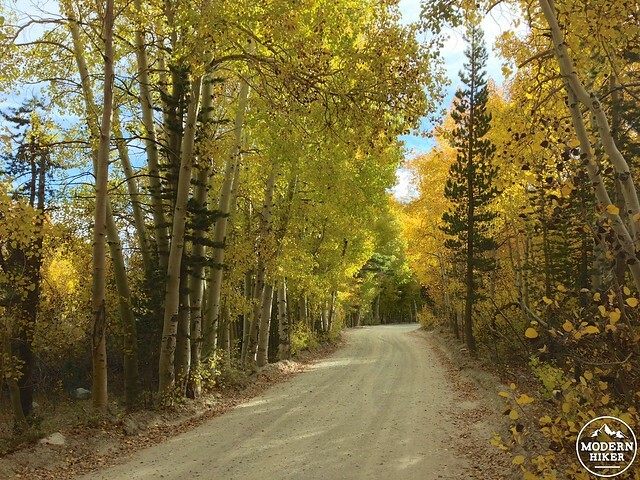 Immediately, the road cuts through a thick aspen grove straddling Bishop Creek. The area is almost too picturesque, hemmed in by the looming figures of nearby mountains and filled with crisp high-altitude air, don’t be surprised to see lots of cars pulled over to the side of the road and dozens of photographers with tripods framing their perfect fall shots. Don’t feel bad if you’re compelled to join them. The better views come further up the road, though. You can either walk or drive the narrow, cliff-hugging, winding (but passenger car friendly!) road until it hugs the south shore of North Lake, where aspens hug both sides of barbed wire fences, mountains loom in the background, and it’s nearly impossible to take a bad photo. Continue up the road for as long as you’d like. 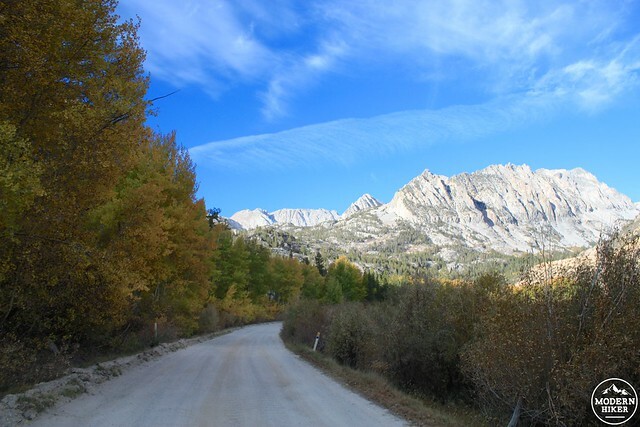 It will eventually reach North Lake and a pack station, as well as a trailhead heading west toward Piute Pass, but if you’d just like to soak in the scenery and enjoy feeling like you’re on some old New England backcountry road, you don’t have to do much more than step out of your car and breathe. When you’re done and all full of crisp air, consider setting up shop at one of the nearby campgrounds or grabbing some coffee at the Cardinal Village Resort! 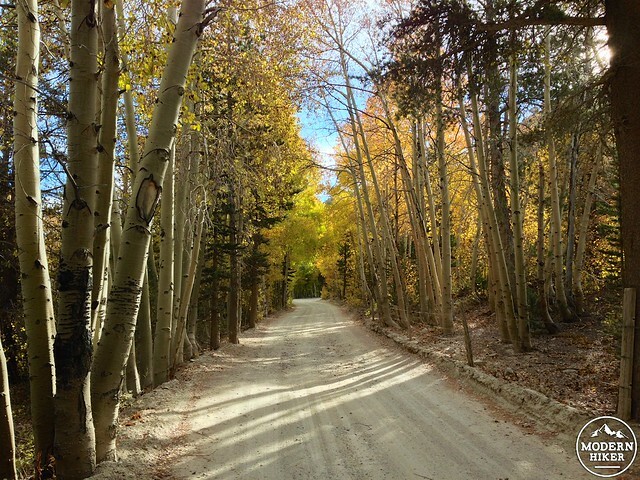 No established trail - just a dirt road through a beautiful aspen grove near a lake. Backcountry camping is allowed in the John Muir Wilderness. Permits are required and fire and camping regulations vary depending on the season and area. Check with the White Mountain Ranger Station in Bishop, CA for more information. In addition, there are several established campgrounds in the area - some are first-come, first-served and others are reservable. Again, conditions may change depending on the season. Sabrina Campground is the closest to this trailhead, although North Lake and Bishop Park are also very close. From the town of Bishop, head west on CA-168 for 17.8 miles. Take a right onto North Lake Road and drive for about a mile. This road is a dirt road that in parts reduces to a single lane. Drive slowly and cautiously - and just park your car wherever the leaves call to you. These roads are closed during winter conditions.